Chinua Achebe. 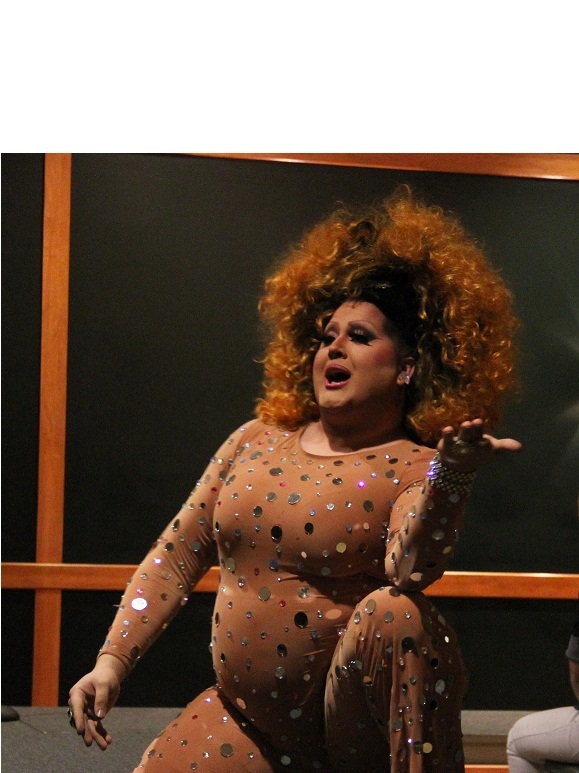 Photo courtesy of Stuart C. Shapiro. Licensed under Creative Commons 3.0. Back in November of 1930, when Nigeria was still a Protectorate of the British Empire, Chinua Achebe was born in the small village of Ogidi. His childhood was spent steeped in a curious mix of traditional Igbo stories and modern Christian beliefs; even his name, Chinualumogu, means “may God fight on my behalf.” Where some Nigerian would have found it difficult to receive an education, however, Achebe quickly found himself learning through the stories told to him by his mother and the almanacs his father, Isaiah, brought home. Achebe found no trouble entering school, and even skipped several years over the course of his education. 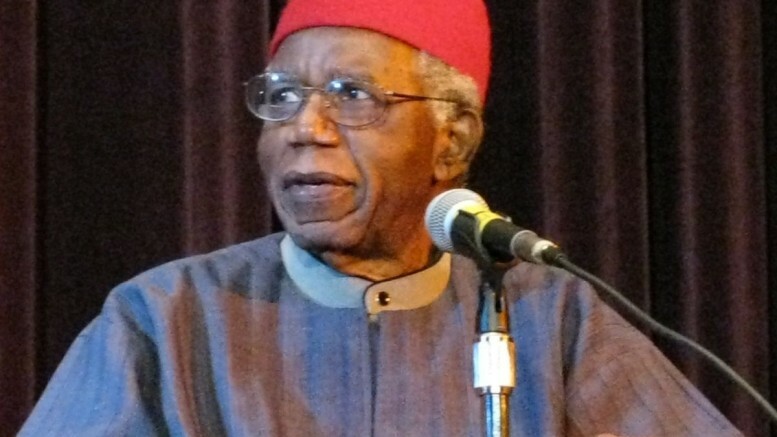 After being found unusually intelligent through several years of schooling, Achebe moved away from his family to the village of Nekede in the south of Nigeria, where he found a deep interest in Igbo culture. The Mbari style of art particularly fascinated him; eventually, he studied it while learning in the Government College of Umuahia. The Government College was where he first began to protest against British imperialism; requirements for speaking English in the college, rather than the native Igbo language, left a deep scar on Achebe’s psyche. This stalwart defense of his native culture and his reluctance to bend to lingering British traces in Nigeria can be seen in most of his works. In secondary school, Achebe proved himself more a prodigy than ever, completing five years’ worth of education in only four. His intense study eventually brought him to Booker T. Washington’s autobiography, Up From Slavery. “I found it sad,” Achebe once said, recorded by biographer Enzewa-Ohaeto, “but it showed me another dimension of reality.” Interestingly, Achebe initially sided with the white characters of the books he read, finding the African characters to be savage at worst and cunning at best. These novels, specifically Mister Johnson by Joyce Cary, disturbed him so much in his university years that he dedicated himself to becoming a writer. Achebe devoted himself to portraying his culture in a more favorable light. After his education finished, with a second-class degree from the Government College, he began work on his first novel. Things Fall Apart, originally much longer and more expansive than the final novel suggests, was an oddity of the times; very few examples of Nigerian literature had been written in English, and writing in an English style was clearly unacceptable to Achebe. He faced sabotage at every turn, but through perseverance and hesitant approval by Heinemann Publishers’ executives, Things Fall Apart was released to stellar reception in Britain. Reviews in Nigeria, however, were mixed. Achebe was ridiculed by his peers, who wondered if any form of African fiction would be well-done if written in English. Achebe continued his writing career for decades, all the while moving from university to university, teaching English and philosophy. His heavy-handed writing style, filled with language both eloquent and blunt, was an immediate hit with worldwide audiences after the release of Things Fall Apart. Achebe proved an inspiration to aspiring African writers, who followed in his footsteps and released a much broader scope of African literature. Unfortunately, Achebe passed away from an unnamed illness in 2013. His literary works are still relevant and prevalent, however, and if you want to read more about him, you can find an online biography here. His first novel, Things Fall Apart, can also be found on Amazon here.